Quick and easy seasoned crispy chickpeas! Great for snacks, eat them like popcorn or on a spread of avocado toast. 1. Gently heat the oil in a skillet then add chickpeas and sauté on a medium heat. Stir frequently then begin to add the smoked paprika, garlic salt and cayenne pepper. Continue to saute until golden brown and crispy. 2. Remove chickpeas from the pan, squeeze fresh juice from a lime, and serve with lim zest and coriander. 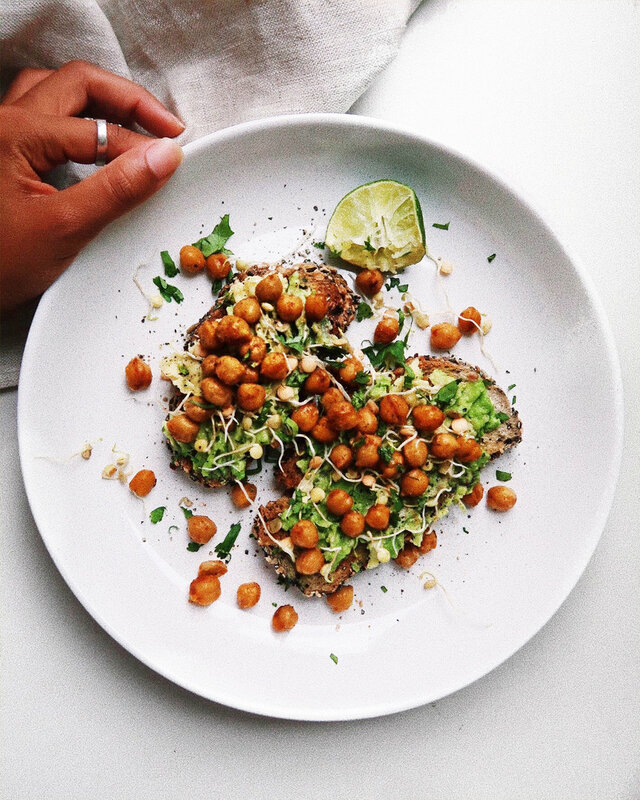 I love to add these chickpeas so salads, especially some avocado on toast! YUM!! !